Identity Crisis belongs in this deck. Nice deck! BMHKain on Which Walker alts to add? 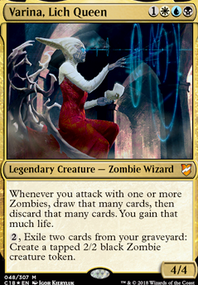 I wrote a ton and then realized I should probably ask what decks your playgroup plays, because idk if I should be recommending graveyard hate when your opponents might not utilize their graves. Another example would be a green deck ramping really fast, in which case I would maybe recommend something like Magus of the Balance or land destruction like Armageddon to screw over the ramp that they've focused on early in the game. Maybe I'm not getting something here, but what is Transcendence doing here? How does it pull its weight in any way? If its just to stall when you get to critically low health, why not Resolute Archangel instead? Etherwrought Page looks incredibly slow, especially for 4 mana. The life gain is super small, the damage is even smaller, and if you're using it for the filter ability, go with Search for Azcanta Flip instead. Necromancer's Covenant is decent lifegain + it hates a graveyard for you. No Solemn Simulacrum? This deck probably needs all the ramp it can get. Identity Crisis >>>>>>>>>>>>>>> Reap Intellect. Darksteel Forge seems weird here, even if it does keep your commander alive (and I guess your mana rocks too, but I wouldn't deem those as needing protection at the point when you've got 9 mana that you can drop on the forge). I think I'd go with a protection equipment, like Darksteel Plate, and if not that then Lightning Greaves or Swiftfoot Boots. No Austere Command? Its like Merciless Eviction but probably better. I think I'd go Words of Waste over Words of Wind. Wind is just going to let them return a good ETB permanent to their hand, or a land if the game has gone late enough. 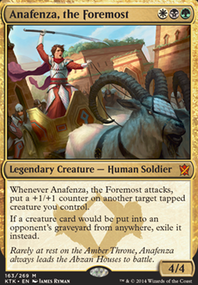 Can't imagine it'll ever force something like a threatening creature or Planeswalker back to the hand. Not sure if I'd actually even recommend Words of Waste with your draw capabilities in this deck, but I'd definitely say get rid of Words of Wind. Aura of Silence is solid all around. 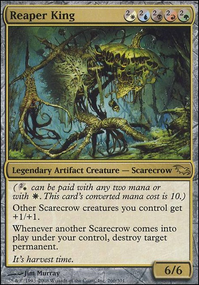 Its a nightmare for enchant/artifact decks, and otherwise its 3 mana sorcery speed to destroy an artifact/enchantment already on the field that can be cast preemptively. Binding Grasp seems weird. Not sure what is good about it over something like Bribery or Acquire, and perhaps even Sower of Temptation in some ways (depends on how much removal that opponent runs, I suppose). 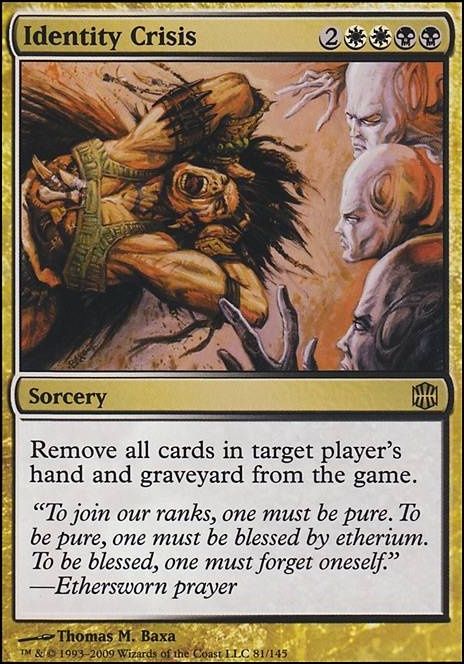 Praetor's Grasp seems really slow, and if you're looking to just rob them of a card, Sadistic Sacrament is nuts for that (especially for removing combos!). Life's Finale also doubles as a board wipe if that was your goal. If you really wanted to play the card yourself instead, then just go with Bribery, or put that good card that they have in your deck too, because paying 3 more mana for nearly any card seems S L O W.
Speaking of board wipes, your deck is pretty low on them. You've got single target removal like Darksteel Mutation but if you're up against 3 people, how much is that gonna help? I think I'd rather pay the 2 more mana for Wrath of God and all of its cousins. Pulse of the Dross, how often does that come in handy? They're gonna reveal the 3 least important cards in their hand, and with such a slow deck I imagine you'll almost always have more cards in hand than most players. Spellseeker is just good imo, I'd recommend it to nearly anyone running blue. Depending on the decks you play against, Containment Priest can be an even better counterspell (against reanimation) that not only disrupts your opponents but also offers you a chump blocker. You also don't seem to have a win-con, as I see the previous commenter mentioned, but perhaps your win-con could just be considered disrupting your opponents so much with your deck + your commander's ability that you drain them of all of their value, in which case you definitely need more protection for your commander than the Darksteel Forge and counterspells you're running. Back to Basics I am not opposed to this card, if someone manages to pull it off. Relying heavily on nonbasic lands has to come with risks. Identity Crisis is completely legit, it will ruin someone's day but I am guessing if you target an opponent with it they had something going that needed to be stopped. Mana Crypt and Mana Vault have drawbacks; I do own them and seldom include them because you need to work around the downsides. Of course they rule in an artifact deck, but so they should! Conversion I don't see anyone actually playing this, it is so bad. It could definitely be on this list. Do you mean Persecute? Again, I can't imagine anyone actually playing this, but it would match our ban criteria. This is a group list, so I can't make changes without consulting the founding members. Right now the card being debated is Paradox Engine. If that is the theme you're going for I feel like there is still a lot of good options you're missing out on. 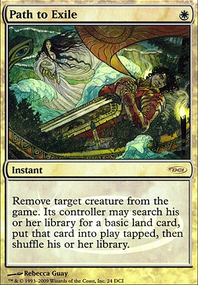 Detention Sphere is great for tokens, False Prophet, Silence the Believers, Summary Dismissal, Final Judgment, Identity Crisis, Merciless Eviction, Path to Exile, Swords to Plowshares, Reality Shift, and Grasp of Fate.